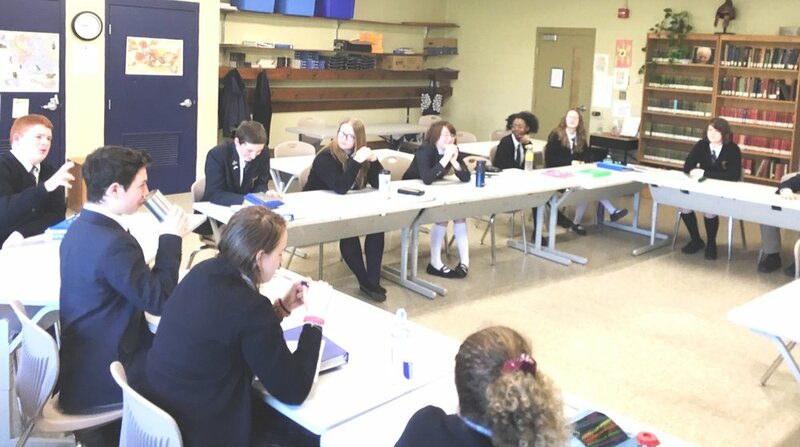 As the 8th grade history class nears the end of its study of modern world history, students assumed the roles of Soviet Politburo members struggling to keep the USSR together during the tumultuous events of the 1980s. Through a classroom simulation that began in 1982, the year of Brezhnev's death, class members were confronted with a series of scenarios drawn from true historical events, debated the merits of possible reactions, and struggled to balance the impact of their decisions on various facets of Soviet life, such as the economic troubles, military hardliners, and popular dissent. The exercise gave students a deeper sense of the constraints that bound their real-life counterparts while applying their historical knowledge (and using the word "comrade" frequently). Our fictitious Politburo’s attempts to maintain control ended in a military coup in 1989, following their refusal to devote more funding to the Soviet military in response to American advances in SDI technology and spending.